I'm reflecting on the past and taking time to recover and prepare for the next journey of my life by taking a holiday. This time, I'm enjoying a trip with some great friends. However, holidaying with others opens up both new experiences and challenges. Im enjoying both..
My friends have joined my partner & I in singapore for a few days, so weve be creating an itinerary to suit all. 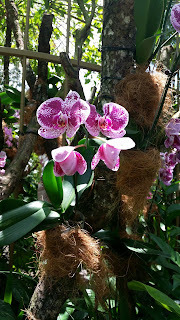 So we've been to the botanic gardens (my choice), and to have breakfast with the Orangutans at the Zoo, and to see a light show at Marina Bay.. each experience different and exciting. 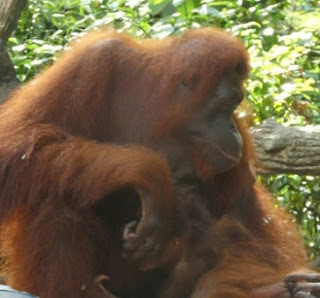 Breafast with th Orangutans (my friends choice to add to itinerary) was very touristy, as we sat down to a smorgasbord of Macdonalds quality french toast, waffles, eggs & terrible coffee with 100 other families. The Orangutans sat on a timber perch while individuals & families lined up in front of them for photos. Visiting the other animals in their enclosures also came with mix of awe & wonder, distress & concern. But who cant love a meerket?? The National Orchid garden is in the Botanic gardens and is just amazing. The garden designs and the 1000s of varieties are just beautiful. 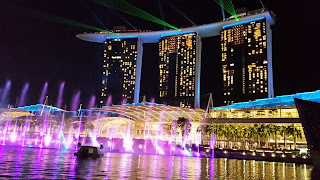 Singapore has the most amazing gardens, and I can get lost in them for hours.... but apparently its not everyones cup of tea..
Our final night in singapore with friends was celebrated with a boat cruise and a light show. This was not on my itinerary but so glad i was convinced to do it.. the light show came with music, smoke, laser lights & fountains. It was thrilling, and (even the costly price tag for the boat) well worth the time. Now for the next phase of the journey, my partner & i are heading off to Nepal fora few weeks... a very different adventure. I love that you went to Singapore for the weekend. That seems so far away and exotic! Of course, it's all a matter of geography -- my few days in Canada sounds far (and Quebec was about 1000 miles away) but Canada itself is about three hours! You did wonderful things -- I'm glad you did the boat ride (I would have needed convincing too but seeing it, nope! In a heartbeat!) and the gardens look amazing. And you're right -- who doesn't love a meerkat?! 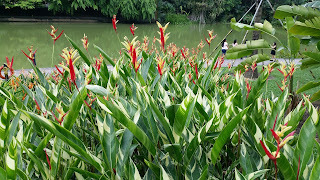 Yes, it does sound exotic, but really singapore is but one of the stepping stones out of Australia. It helps break up what is usually a long trip to anywhere elses. 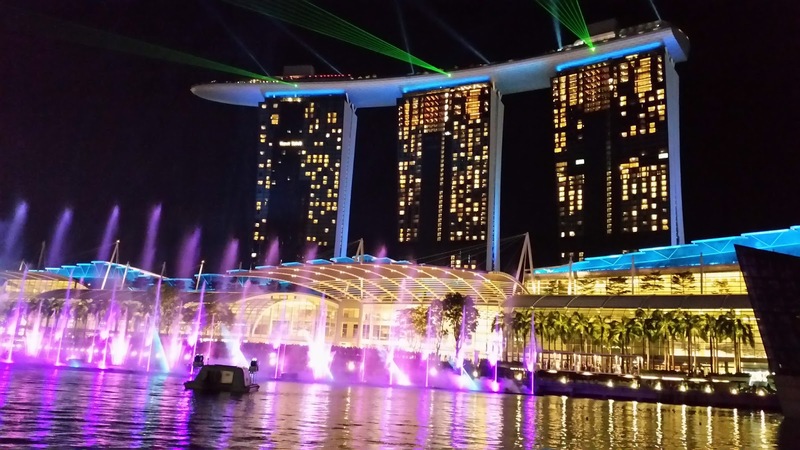 Singapore is a great place for tourists because they make it so easy to get around, and they have world class attractions. Despite having been there a few times, i still havent done all there is to do. Its a must go back place for me. Lovly wow Read your Post Because Your Post Is very interesting thank you so much give us information keep posting good luck ………………. Kolkata escorts Looking into your said information to a great degree dumbfounded me. It is only a particularly composed substance which I would love to take a gander at. Getting the right information is something that could enhance you feel than whenever in ongoing memory. Kolkata escorts examined your substance through and through. It has affected me to feel staggering in light of the fact that the article fuses everything which I was earnestly hunting down. Feeling extraordinary to come to understand that you think about the short and correct information in my claim to fame.